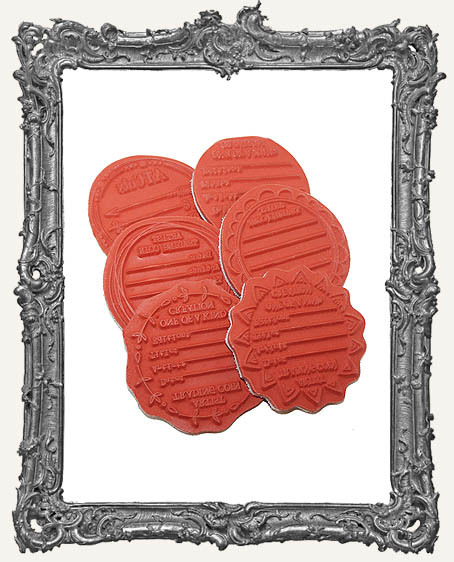 * Set of SIX beautiful deeply etched red rubber stamps mounted to cling cushion and cut to size. Simply remove the paper backings from the cling cushion, attach to an acrylic stamping block (or our ATCoin Round Stamping Block), and stamp! They ship ready to use, over and over again! * Each stamp is sized perfectly to fit a 2.5" Artist Trading Coin (or larger if you wish). * Photo #3 shows the images stamped directly onto our Chipboard Coin Bases using black archival ink. If you prefer, you can stamp on our White or Kraft Sticker Sheets, cut them out, and adhere. 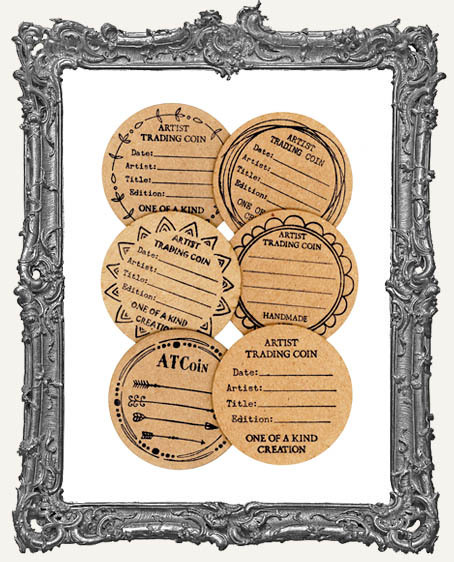 You can also use our ATCoin Round Stamping Block as a template to trace around your image once it's stamped! How handy! * Find more Rubber Stamps and Artist Trading Coin goodies HERE. * By buying them all as this set, you're getting one FREE!